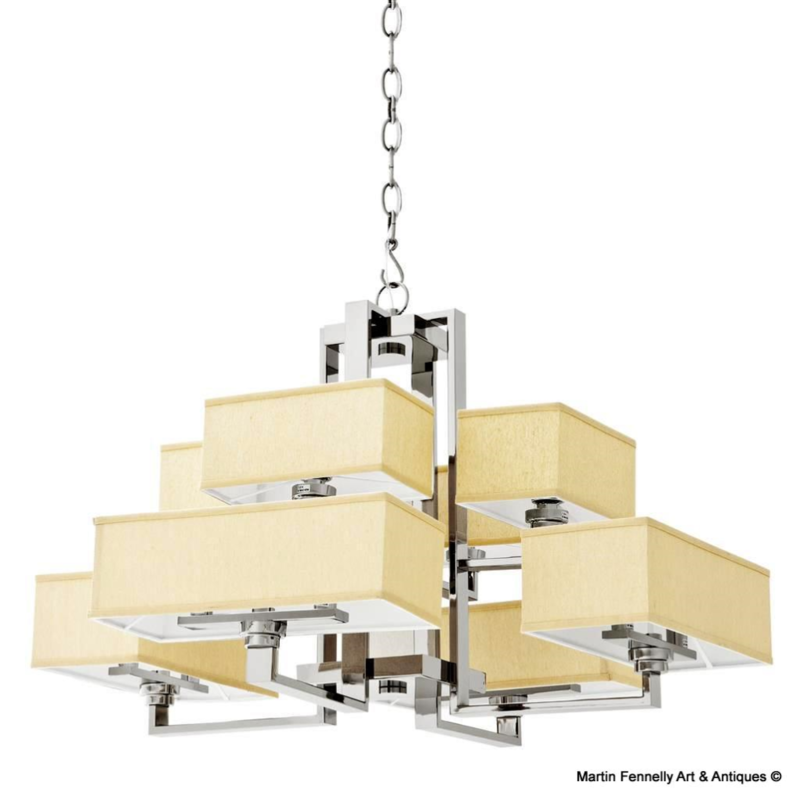 Polished Steel 12 Light Chandelier. 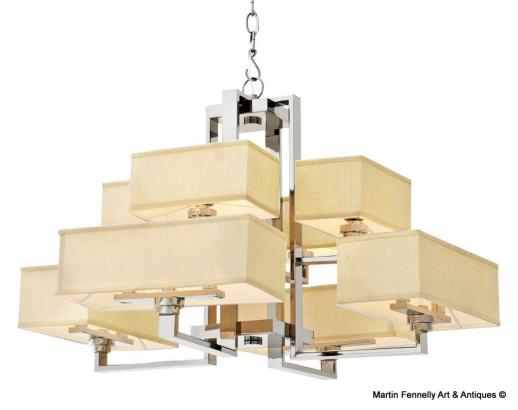 This Chandelier features an abundance of sleek edges. 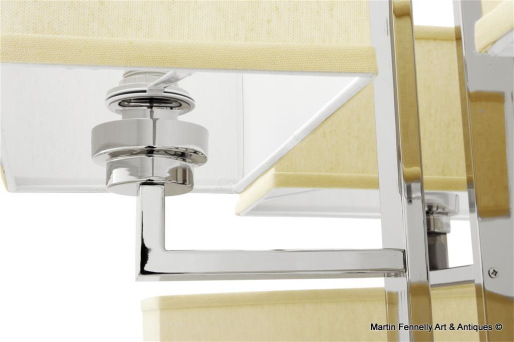 Simplistic and contempoary, this unusual design will bring light and balance to a room. 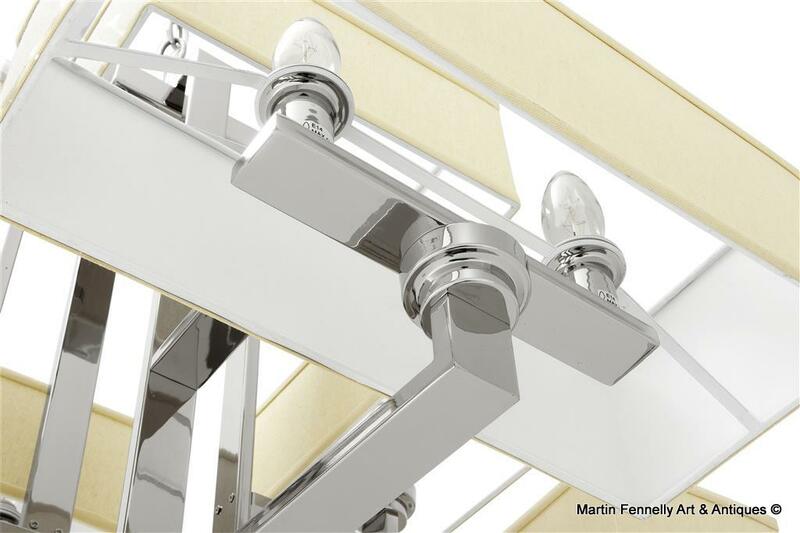 The neutral tones of the cream coloured lamp shades makes this chandelier flexible to fit in with a vast array of colour schemes, and the modern polished stainless steel frame adds a touch of deco or art nouveau elegance. The Chandelier comes with 12 Lights, Polished Steel Chain,Shades and Wired.